Arunachal Governor, CM conveys Podi Barbi greetings festival greetings to the people of the State on the festive occasion of Podi Barbi. The Governor of Arunachal Pradesh Brig. (Dr.) B.D. Mishra (Retd.) has conveyed his heartiest festival greetings to the people of the State on the festive occasion of Podi Barbi. He expressed his hope that the festival will usher good harvest, prosperity and happiness in the society. In his message, the Governor said that every tribal festival of the State offers a platform to showcase the unique cultural heritage of the indigenous communities. It forms an essential adjunct to carry forward the tribe’s vibrant and rich customs and traditions. Let the youth and the elders alike promote and preserve the distinct ethos and traditions of each tribe of the State which will go a long way in strengthening the unity in the diversity of our Nation, he said. On this auspicious occasion, I offer my prayers to All Mighty Donyi Polo for peace, amity and integration of the people of our State, the Governor said in his message. 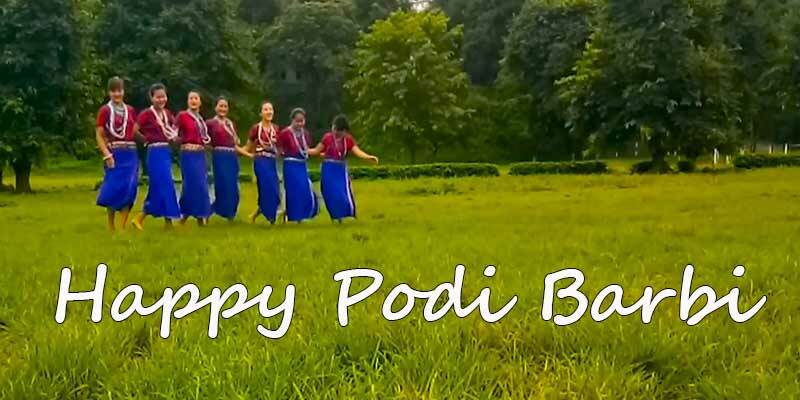 Chief Minister Pema Khandu has extended best wishes and greetings to the people on the joyous celebration of Podi-Barbi, a harvest festival celebrated annually by the Boh Bokar Ramo communities (sub-tribes of Adi) of Arunachal Pradesh. Khandu wished that the festival would usher in a bumper harvest, good health and harmony not only for the revelers but each and every tribe of the state. According to legend Podi-Barbi means a small cricket-like migratory insect, which makes a tweeting sound and migrates from far-flung places and arrives at the time of harvesting season in the region. Hailing Podi-Barbi as one the most colourful, vibrant and distinct indigenous festivals of the state, Khandu joined all in thanking Mother Nature for a great harvest and offered prayers for abundant crops in coming years. “I reiterate my appeal to one and all to preserve our rich culture and celebration of our indigenous festivals is one of the best ways in this direction. While competing with the outside world, let’s stay rooted to our culture and take pride in doing so,” the Chief Minister added in his message.